MESSTECHNIK EHEIM GMBH, Senzori, Flue gas analysis equipment, Analysis devices for process control tasks, pe EUROPAGES. Messtechnik EHEIM GmbH was founded in 1996 with the aim of developing, manufacturing and distributing electronic waste gas measuring equipment and special measuring equipment. Since the company's foundation, more than 10 new analysers and auxiliary measuring instruments have been brought to market. 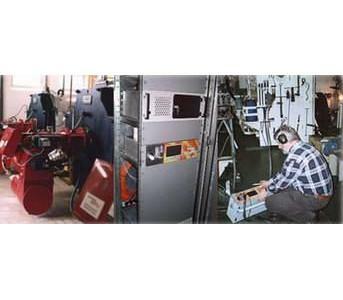 The gas analysers are used for analysing the gas in furnaces, as well as assessing various waste gas processes, from motor drives through to waste gases produced by processing plants. Our customers are extremely diverse, such as heating engineering specialists, factory customer services and universities. Biogenic gases used in applications involving landfill sites, sewage treatment plants, fermentation plants and process gases stand to benefit further from the "VISIT" series. The VISIT measuring systems have multiple uses in mobile and stationary gas analysis. VISIT stands for top quality, easy handling, perfect service, fair prices and a clean environment.